Hyperbaric Oxygen Treatment (HBOT) involves breathing pure oxygen at higher than atmospheric pressures in an enclosed chamber. This process causes oxygen to be absorbed by all body fluids and by all body cells and tissues, even those with blocked or reduced blood flow. This increased flow of oxygen stimulates and restores function to damaged cells and organs, including those of the liver and brain. Whilst in the chamber the patient breathes 100% oxygen delivered through a mask. The diving chamber is a fully equipped saturation chamber with full mixed gas facility and a 34.4 bar (1000′ of seawater) capability. It is one of the deepest diving chambers in the country. Our second chamber is a medical chamber which features a walk-in door and can hold up to 10 seated patients or 4 hospital theatre trolleys. There are intensive care facilities within both hyperbaric chambers, including high-tech patient monitoring and ventilatory support for management of the critically ill. In addition to the equipment within the chambers, we have the ability, if necessary, to defibrillate a patient whilst the chamber is pressurised. The Hyperbaric Facility is one of only 9 ‘Cox’ Category One facilities on the UK mainland. 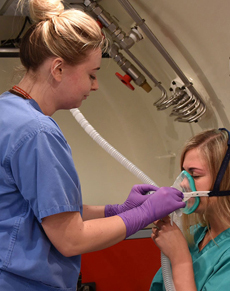 We can deal with any hyperbaric emergency, including patients requiring full intensive support. We are also capable of treating multiple patients simultaneously. The team consists of consultants who have experience in anaesthesia, intensive care and hyperbaric medicine. They are supported by ICU nurses and a strong technical support team who provide expert care 24 hours a day, 365 days a year. The hospital has a helipad adjacent to the Hyperbaric Facility thus allowing immediate access to the recompression chambers for patients arriving via helicopter. Once referred to the Hyperbaric Unit, each individual is clinically assessed by a doctor who will decide upon an appropriate hyperbaric treatment regime. Emergency Recompression Chamber Help and Advice Line: +44 (0) 151 648 8000 – 24 hours a day, 365 days a year. 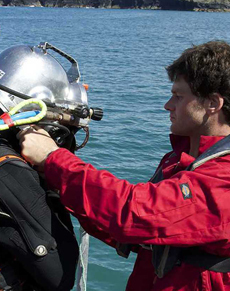 We provide Chamber Dry Dives, Emergency Diver Medic and HSE Chamber Awareness Courses. 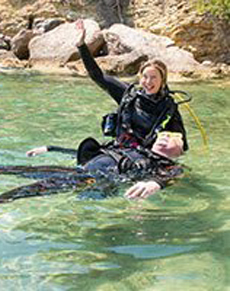 We offer Diver Medical Technician Full and Refresher Courses. We no longer promote PHTLS. Although PHTLS has served us well for a number of years it does not fit the UK model. 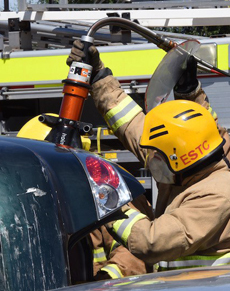 As a result most are moving to the New European Pre-Hospital Trauma Care Course. We undertake 3 types of diving medical at ESTC: Commercial and HSE Approved Medical, Offshore (UKOG) Medical and Seafarer’s Medical.